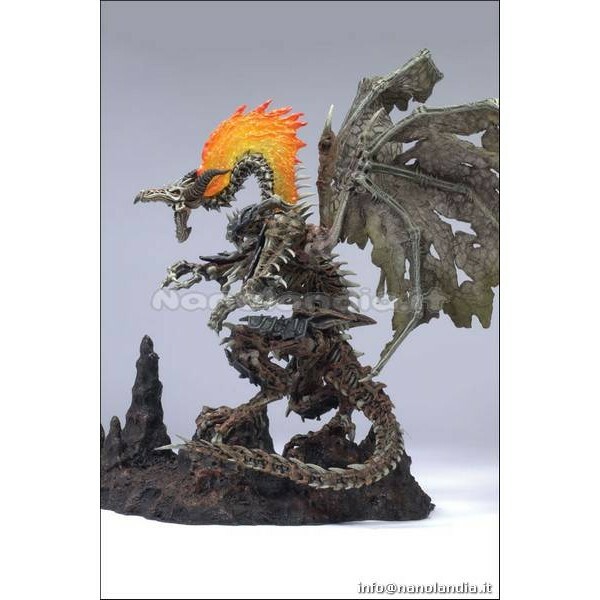 Within our on-line webstore we provide MCF DRAGONS 6 FOSSIL DRAGON DLX BOX AF produced by MCFARLANE TOYS, synonym of high quality, made ​​of PVC and furnished packed in a BOX. This is an occasion not to be missed for the fans! Massive Fossil dragon reaches a height of 10 inches at top of translucent wing. Hinge joint on jaw; articulated at shoulders and hips; poseable tail. 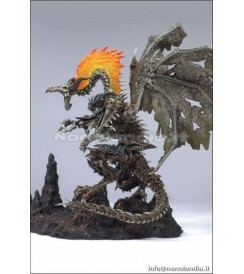 Includes flaming mane, partial body armor and highly detailed custom base.